PERFECTION IN PARKLAND! Spacious living and spectacular entertaining in this true extended Bolano Model, with 5 beds + bonus room which could converted to 6th bedroom. Gourmet extended eat-in kitchen, modern baths, bright open floor plan, formal dining and exquisite outdoor space. 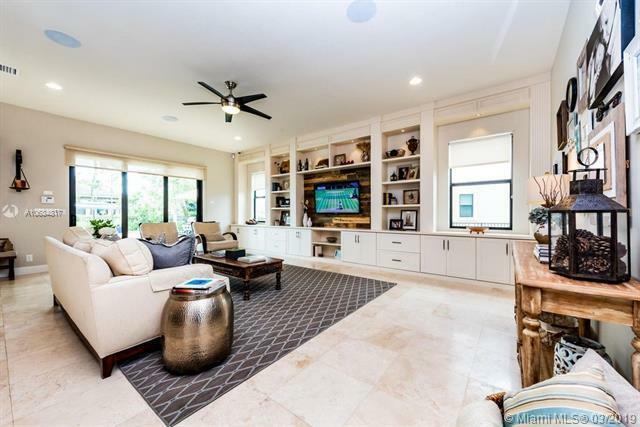 Luxe upgrades include huge upstairs bonus room, marble floors, en-suite downstairs bedroom, grand living room, built-ins galore, modern reclaimed wood wet bar, interior-exterior Sonos speakers, NEST throughout, video cameras, closet organizers, hallway wood floors, and central vac. PGT impact doors and windows overlook the serene pool deck and lush tropical gardens. 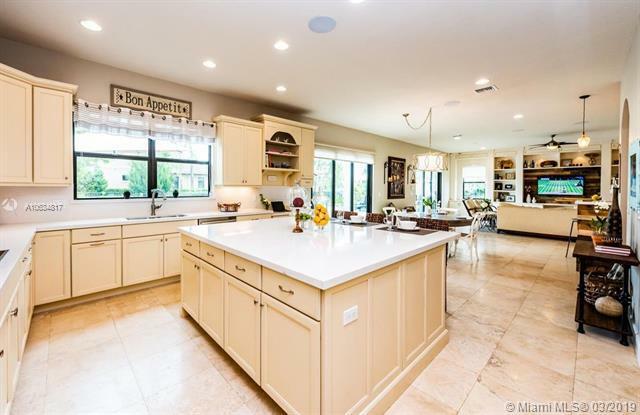 Conveniently situated on largest corner lot in Parkland's most exclusive neighborhood. This is the ultimate turn-key PGCC executive manor home!